I had stepped back for a while recently. From most forms of social media. While this was an unintentional break due to my health, it did give me pause to reassess what I myself consumed on a daily basis online. I have always read blogs. I've never really been one for Youtube, but reading blogs was my way of consuming realistic opinion based content. In the beginnings that's what blogs were. A way to cut through the glossy, photoshopped paid-for-placement in magazines. It was a way to relate to real people who shared with us their true selves, their honest opinions and, sometimes, a peak into their life behind the scenes. It was a very positive movement... at the time. Since then and beginning with the 'rise of the influencer' there has been a change. Not a soft turning change but a crashing tidal wave of a turn in the trust that so many bloggers spent a lot of their energies building up with their communities and none are more angered than those of us who have striven to be transparent, open and as honest as possible. It should go without saying that nobody online owes a reader anything in regards to their personal life. With the rise of platforms such as Youtube, Instagram (and it's Stories feature) and Snapchat, there has been a rise in the sense of entitlement some do tend to feel when it comes to the content they consume. No blogger owes anyone inside information on their health and relationships for example. 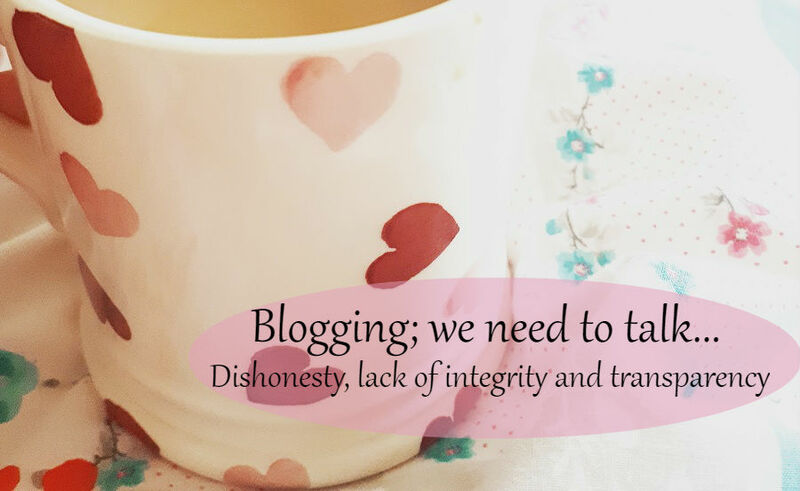 Bloggers do however owe their readers honesty, transparency and integrity because without that a blogger is not being true to themselves or their readership. If you are creating a false image online, however minimal that may feel at the time, you are putting a false truth out there to be consumed, to be taken at face value. This is a big responsibility. Bloggers and influencers must hold themselves to a higher standard than a run of the mill glossy magazine because that was the very basis on which blogs were based initially. 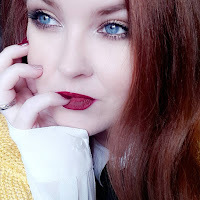 Recently I have watched as quite a few pages have popped up with the sole purpose of outing dishonesty in the blogger / influencer industry and whereas I do believe there is a need to highlight the wrongdoings that are being carried out all too frequently, the mob mentality never sat well with me and that's not about to change now. On a more personal level I spent my night last night speaking to one of my sisters who was furiously upset that someone she looked up to, admired and took inspiration from in regards to fitness, was revealed to have been heavily editing images online. My sister had been striving for the body type that was being shown. I had spoken to her before about my suspicions and that I would take things like that with a pinch of salt each time I see them online however not everyone is as internet savvy as that and that's when serious damage is done. Of course, it should go without saying though I'll say it anyway, everybody puts forth a highlight reel. We are ALL guilty of it in some capacity. Whereas I don't heavily edit photos or even own a photoshopping app, I do make sure that my pile of dirty laundry is just out of shot, I do make sure and stand in front of a window to get the best light, I may take photos of products laid out in a flatlay on my bed which is surrounded with cushions and pillows and pyjamas that are also out of shot. I don't show myself as I am in real life, I don't want to share certain aspects of my life such as my illness and my current health problems, I don't want to have to explain myself over and over, I don't want to share how ill my new medication regime is making me or that sometimes I don't make my bed. I have no need to show you the 5 minutes I lock myself in the bathroom just to catch my breath. I am under no obligation to tell you that one day my husband will bring me flowers and the next day we are arguing because he didn't put the sheets in the wash like I asked him to. A blogger / influencer is under no obligation to reveal aspects of their personal life that they are not comfortable sharing and this is why I deleted Snapchat. People do feel a sense of entitlement. An entitlement to comment, an entitlement to proffer advice, whether asked for or not. An entitlement to know every little thing you get up to in a day. Nobody is under any obligations to tolerate that level of intrusion in their life. Not a blogger, not an influencer, not a celebrity and not a friend or a complete stranger. So we've established that highlight reels exist. On some level we are all guilty of this and it's understandable and rational as far as I'm concerned. What I cannot abide and what has been on the rise recently is the out and out dishonesty, a serious lack of integrity and transparency on social media platforms. The lack of a declaration when a post has been sponsored cannot continue. The heavy editing of aspirational lifestyles cannot continue. The photoshopping of make up looks cannot continue. The burying of heads in sand when these practices are called out cannot continue. The buying fake followers and passing your following off as authentic cannot continue. When blogging began we began a glorious movement of honesty, integrity and transparancy so to the few that are flouting all the hard work put in by honest and hard working, integrity-driven bloggers, we are asking, politely, without witch hunts or bullying or call outs, please reassess what you put out into the world wide web. Please know that your followers appreciate honesty. Understand that it's not only an advertising authority standard to declare your posts accordingly but also a level of transparency that your followers will deeply appreciate. Mainly please do remember why we all started this... to combat the impossible social standards that women were being fed by magazines, the impossible figures, the beauty products that were high end and promoted in your favourite glossies but performed poorly when you spent your own money on them. To give people an alternative to false truths. Blogging and influencing can only ever be driven by truth and integrity. We are all different and authentic and THAT is what people enjoy seeing. They connect with who you are as a person. Some people won't like you and hey, that's just fine! Others will. Let the positivity resonate louder than the negativity and be yourself in the face of adversity. You can't ever be someone else so own your own voice, your own truth and your own life. Base what you show in reality. Ditch the photo editing apps and celebrate the freedom of letting your voice be heard because that's the really great thing about blogging and something I learned from way back when I started keeping a web log on Livejournal, people will read, people will listen and they will connect and that right there is the most wonderful of things, that connection. There is a change coming, I can feel it in the air and it is beginning with the outing of bots and false followings and I, for one, could not be happier to see it. It's past time.